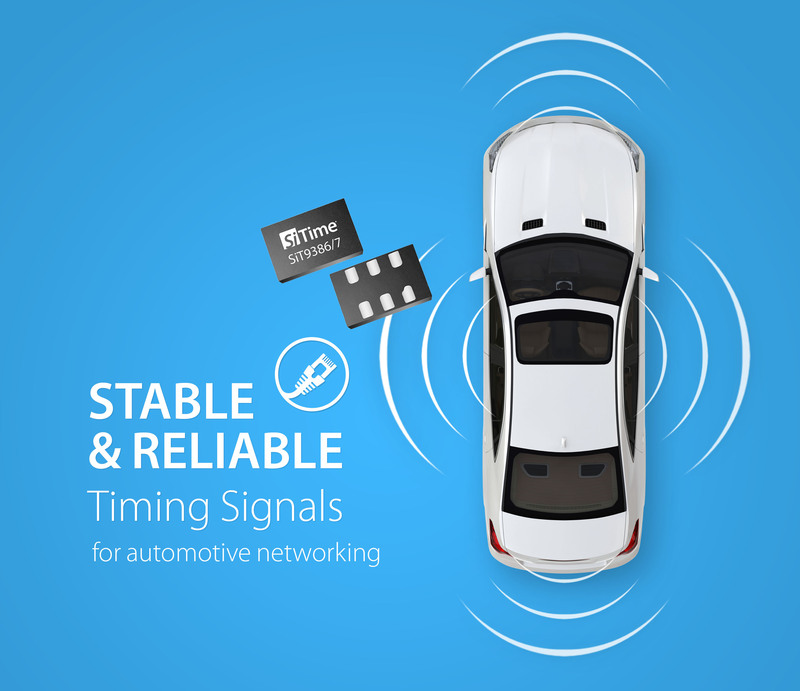 SANTA CLARA, Calif., December 12, 2017 —SiTime Corporation,the market leader in MEMS timing, today announced new oscillators for automotive networking in advanced driver-assistance systems (ADAS). These solutions will propel the automotive industry forward in their development of driverless cars. For successful ADAS operation, supercomputers in these cars will need to process massive amounts of data reliably and with low latency. The SiT9386 and SiT9387 oscillators enable just that. They deliver stable and reliable timing signals for AI processors in automotive supercomputers, as well as for the interfaces that move data, such as PCI Express and 10G, 40G, and 100G Ethernet. Samples of the SiT9386/7 oscillators are available now from SiTime and will be available from catalog distributors, such as Digi-Key and Mouser, in the first half of 2018. Production Part Approval Process (PPAP) documentation, compliant with the AIAG manual, will be available in the first half of 2018. Pricing is available upon request.